Up until this point we've had our hand at several dessert recipes, but nothing quite like this Low Carb Custard. Personally, I am not a fan of lime or lemon desserts, but Matt changed my opinion with this one! 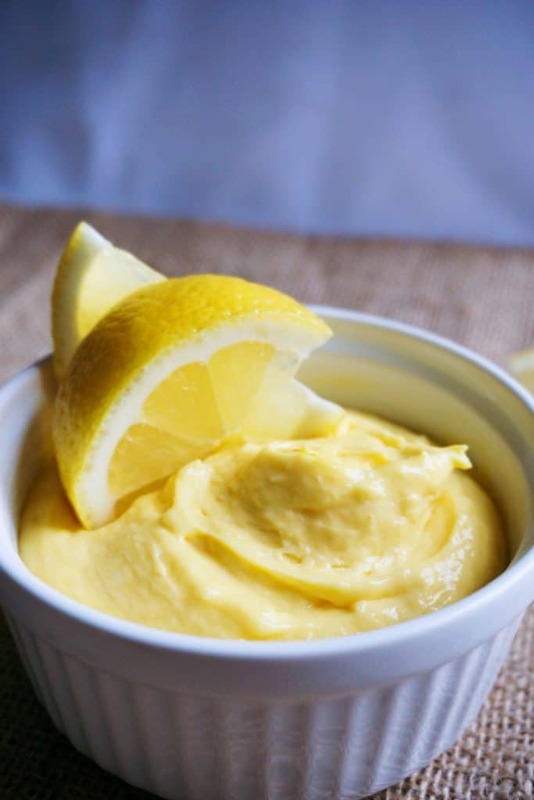 If you're craving something sweet, but still light and refreshing this low carb lemon custard is your best chance of hitting all of those desires. Watch Matt make it below! It's Like A Thick Lemon Pudding! Though I don't love lemon flavored desserts, I do love a thick pudding, and this is basically that! Ditch the instant pudding mixes because this is the real deal. It's significantly lower in carbs and you know exactly what is going into it - no preservatives! It's also only requires five ingredients to make, and it would work great as a frosting or a filling! Lemon custard of course! I can almost guarantee you always have butter, cream cheese, and a lemon or lime on hand. If so, why not put those egg yolks to use and make a creamy, indulgent, yet refreshing dessert that everyone will love? There are also several other ways to use left over eggs yolks, such as making our salt cured egg yolk﻿﻿﻿﻿s or low carb truffles. Just as a tip, make sure to add the yolks in one at a time as you whisk the mixture to ensure thorough mixing! We don't make enough zesty dessert, which is a shame because they are always so refreshing while still satisfying your sweet tooth! We are in the works of making a key lime pie that we have high hopes for. If you decide to make this custard, a good way to use it aside from eating it straight out of the bowl, would be to pair it with our olive oil cake or use it as a frosting on our protein cakes! This low carb custard is a great, refreshing way to end any of your meals! Recipe can be quickly added to MyFitnessPal - Search "KetoConnect - Low Carb Lemon Custard"
Add the butter and cream cheese to low heat sauce pan. While it is melting down grate in some lemon zest, 15 drops of stevia and the juice of half of a lemon. Stir until it starts to come together.